Please join us for the 2018 Dolores Huerta Prayer Breakfast Celebration as part of our 2018-2019 Diversity Signature Series. 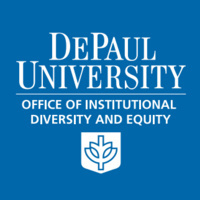 This annual gathering of the DePaul community honors the life and legacy of activist Dolores Huerta and celebrates the culture and heritage of Latinx communities. This year, we are honored to welcome Dr. Juan Andrade, Jr. to deliver our keynote address. Dr. Juan Andrade Jr. is the president and executive director of the U.S. Hispanic Leadership Institute. Under Andrade's direction, the Institute has trained 200,000 present & future leaders, registered 2 million new voters, published 425 studies on Hispanic demographics, and sponsors the largest Latino leadership conference in the nation. Andrade is a recipient of a Presidential Medal, presented to him by President Bill Clinton for "the performance of exemplary deeds of service for the nation."